While I’m here, a quick heads up about some gigs of interest in the Southampton area. First up on Saturday 13th June that bastion of fluorescent hedonism PSYCHEDELIC SATURDAY returns to the Hobbit. I will hopefully be playing, dependent on babysitter so TBC…. 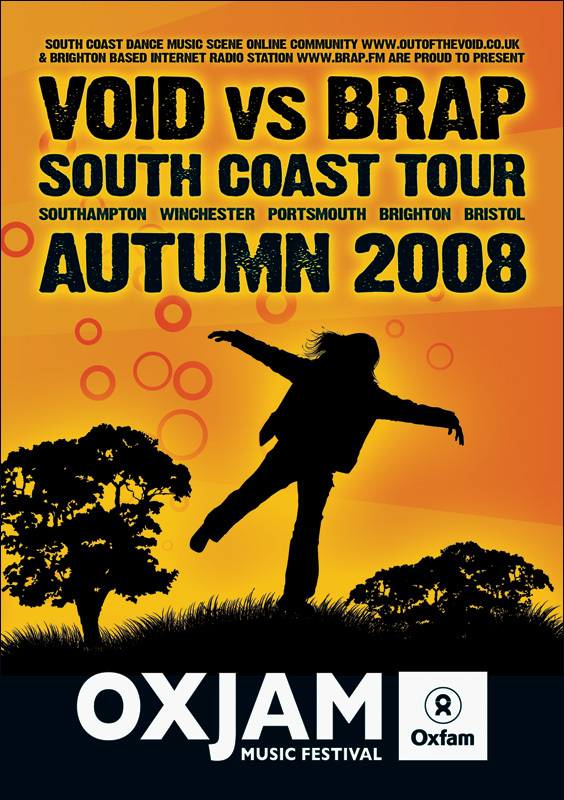 I am however definitely on the bill for the latest installment of the now legendary VOID VS BRAP charity alldayers in aid of Oxfam, on Sat 4th July and also at The Hobbit. Loads of great DJs lined up for this (check the flyers here) and these parties are always off the hook so save that date, more details to follow. Hopefully see you in the chatroom tomorrow! 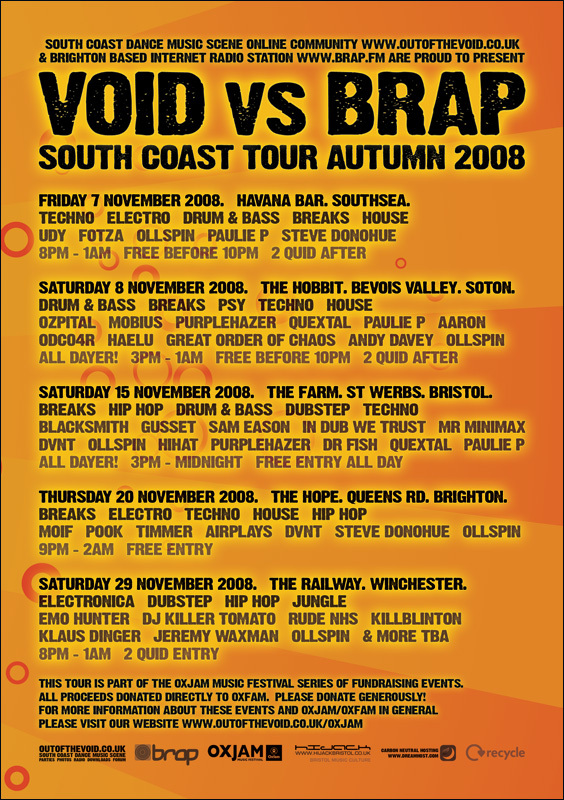 First show of 2k9 kicked off with some downtempo breaks and then into dark bass’n’bleep techno, rising into chunky progressive territory, emerging into some epic and twisted electro/psy breaks, and closing out with some full-fat drum’n’bass. Fun for all the family! Next show: Same time, same place, 2nd Feb. See you then! I’m playing from 9pm at the Southampton gig (8th Nov), and 4pm at the Bristol one (15th Nov). The tour also takes in Winchester, Brighton and Portsmouth. Quextal’s next scheduled appearance on the airwaves and netwaves is on Monday 1st September 2008, 8-10pm UK time, on Brap FM. Sign up to the Facebook page and/or the NEW Facebook group to get a reminder in your Updates or Inbox respectively.